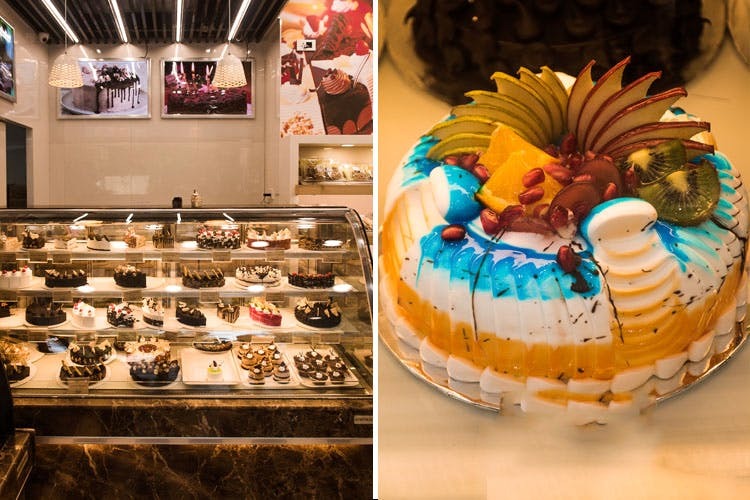 This not-so-tiny bakery shop in Bandra is here to steal your hearts with mouthwatering plum-cakes, and you can pin this bakery on your dessert map. The Hill Road in Bandra is always bustling with people and a variety of shops. It becomes difficult to notice just one thing. But La'Braco makes sure you don't overlook it while you are on the go. It's humongous hoarding is right on point to attract your attention.With it's all-glass exterior, and gorgeous wedding cakes for display through the glass, the shop wins in making you drool. After all, who can say no to a cake? La'Braco has not only brought in plum-cakes for you for INR 500 a kilogram, but has also introduced the best of the season. They now have their Nutella Red Velvet pastries for INR 135 and Chocolate Crunchy pastries for INR 120, along with a regal looking, lip-smacking Choco-Strawberry cakes for INR 550 a kilogram. These are available as pastries too, from INR 120. And as we told you earlier, their customized wedding cakes are to die for. 1 kilogram is for INR 1,850, and they make sure that the cake makes your wedding count. Isn't all of this making your mouth water already? You now know where to head to! We recommend this for a quick snacking stopover, after you’re done shopping or to order a themed-cake for your wedding or a special birthday. It’s affordable and they are quick with their service. Thank us later!